I felt an intense urge to create this work. It wasn't until after I finished the quilt that I realized it was symbolic of my current emotional state! I was feeling weary, overburdened and "burned out". The hectic schedules and the constant busyness in my life was taking its toll. This quilt provided a sudden insight for me. It is startling wake-up call to take more time to relax. 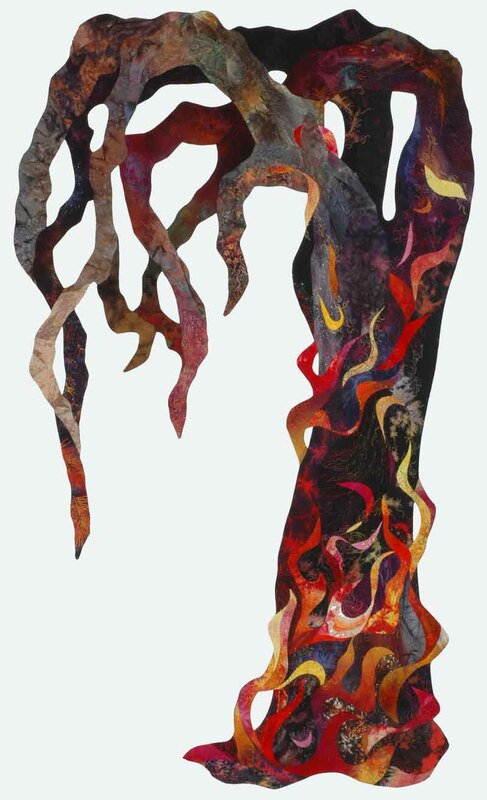 This quilt is free-form shaped and has openings between the branches (you can see the shadows cast on the background from the photography lighting).